Nikaia General Hospital, one of Greece’s busiest public hospitals, is located in the heart of one of Athens’ poorest municipalities. Nikaia, an area of working people and poor class residents is amongst the most severely affected urban areas of Greece by austerity measures. The main characteristics of the town are a growing population of unemployed, immigrant people not covered by social insurance. People visiting the hospital most often cannot pay the registration or examination fees that have been recently introduced. Austerity cuts have drastically decreased needed health services at Nikaia. 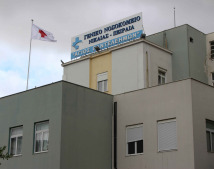 Olga Kosmopoulou, a doctor at Nikaia General Hospital, described the situation as an “unimaginable disaster” with erratic and unstable financial resources for necessary equipment and pharmaceutical drugs. “Right now we have a great shortage of nurses, doctors, support staff and materials. This is constant. We don’t have medicine in the pharmacy today. Maybe tomorrow we will, maybe not. We cannot plan for the future, we are in constant state of crisis,” explained Kosmopoulou. Six hospitals have been closed in the Athens area since the beginning of the crisis, forcing a 75% increase in patients as well as longer wait times. Staff and supplies have severely decreased and the number of hospital beds has been lowered by 87. Doctors describe a frustrating situation where staff is overwhelmed with an overload of patients and unable to provide adequate health services to the public. Patient load can be anywhere from 70-80 per clinic with only two nurses. Nurses often work back-to-back double shifts totally 16 hours. Due to a hiring freeze, the hospital has been unable to hire new doctors or nurses not even replacing vacate positions from retirement. With the stress of the workload as well as the threat of impending cuts many personnel retired early. Instead of investing in quality health care delivery, the government through the hospital administration has outsourced cleaning services to a for-profit private company. Oftentimes private firms cost the hospital more while providing temporary work and lower wages for workers. Last year, contract workers went without pay for six months and were forced to rummage through hospital trash to find food for their next meal. There are also plans to outsource hospital catering services in the near future. “Their plan is to lead us to misery, to death so that the private sector takes over,” explained Kosmopoulou. Despite inhumane conditions, hospital workers vow to provide the best patient care possible and to continue to fight for access to affordable, quality health care for all people of Nikaia.